Mezco welcomes Gotham’s most notorious cat burglar, Catwoman, into the One:12 collective. Catwoman figure flaunts three exquisitely detailed head portraits: a flirty smile, a hissing snarl, and an unmasked Selina Kyle portrait. 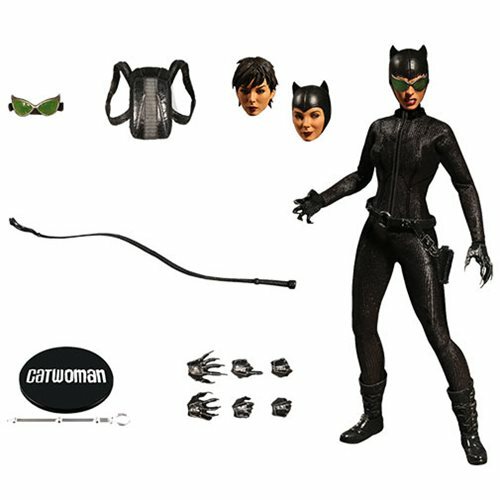 In addition to Catwoman’s classic form-fitting suit, she comes complete with a whip, waist belt with an opening tool kit, removable backpack, and goggles that fit both masked heads. 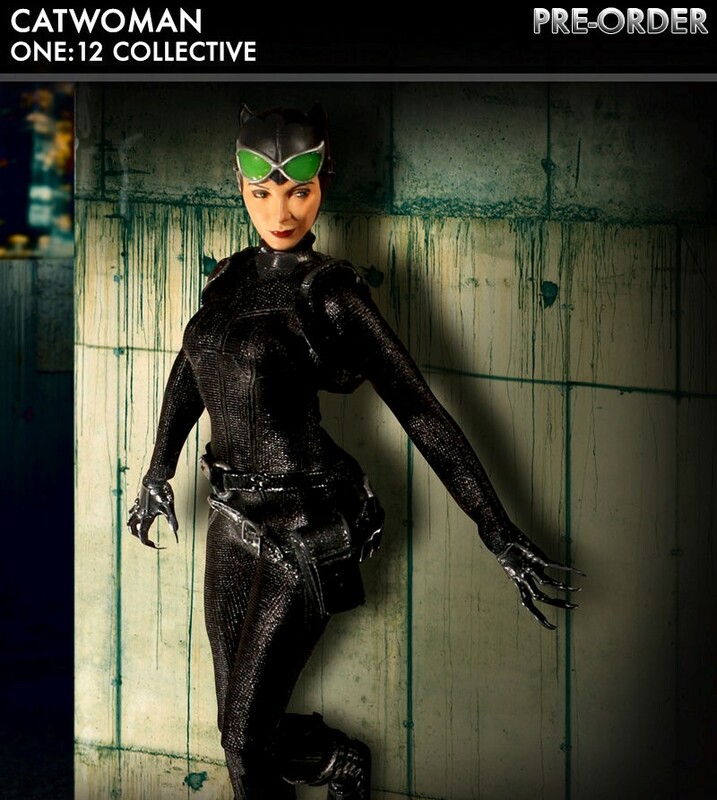 Each One:12 Collective Catwoman figure is packaged in a collector friendly box, designed with collectors in mind. There are no twist ties for easy in-and-out of package display. 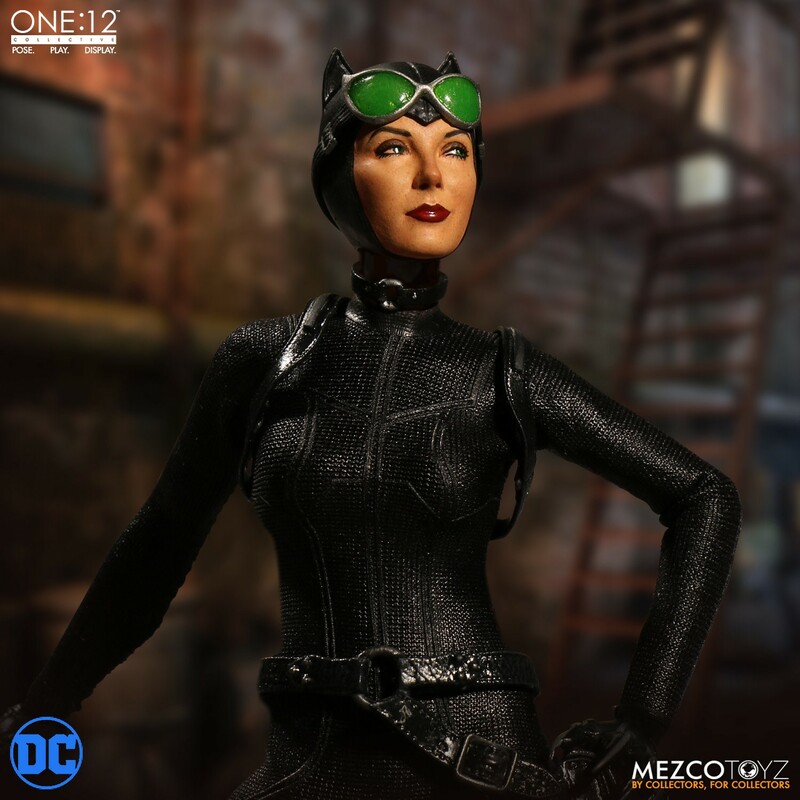 The One:12 Collective Catwoman is available for pre-order at MEZCO Toys and will claw her way into stores between September - November of 2018.